Do your kids love picking up all kinds of beach things from the ocean such as shells, starfish, maybe even a shark’s tooth? Then the Little Collector Backpack pattern from Swoodson Says would be perfect for that! This backpack features all easy to manipulate features, such as a drawstring/Velcro closure, and an envelope-style pocket. The pocket and bottom of the bag can be made with mesh to allow dirt and sand to leek out when your child collects their treasures. How clever! I’m sure you’d love a beach bag yourself! Here comes help! 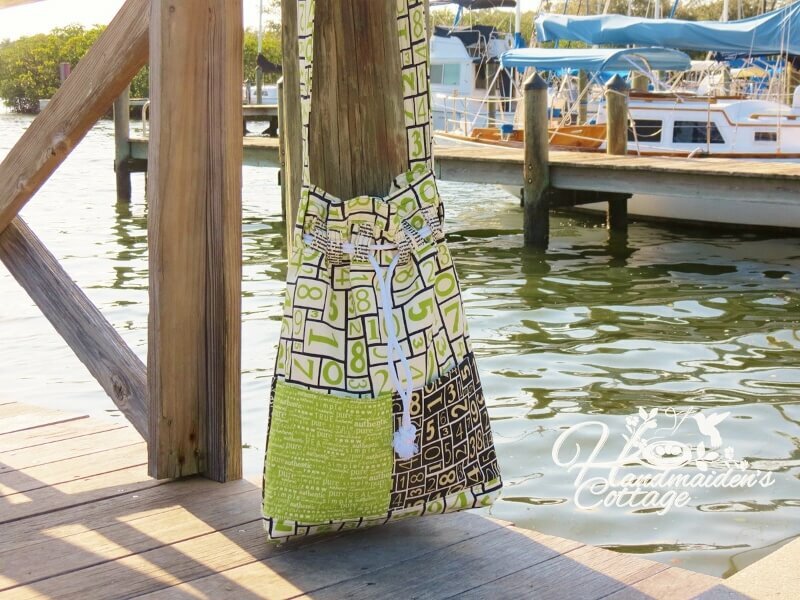 Handmaiden’s Cottage offers a great pattern to sew for all your things you want to tote along. Check out Sandy's Beach Bag pattern. It not only serves well for the beach or pool but you can also use it as a big purse or diaper bag! The sun is fun but consider wearing a hat to protect your hair from getting bleached out or from a bad headache in the evening. 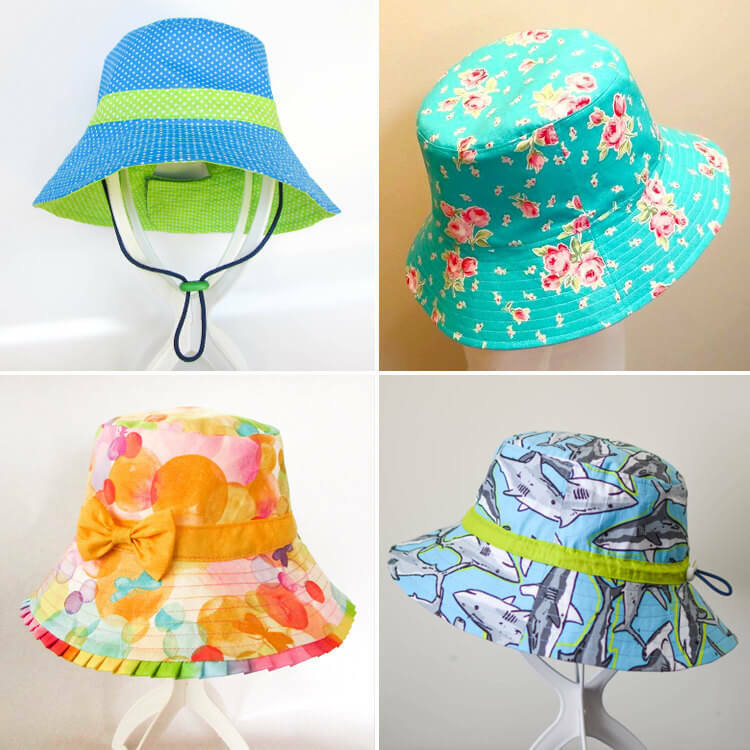 Flosstyle made the Ultimate Bucket Hat pattern for newborns, toddlers, kids, teens and adults! But don’t just believe you are getting a regular bucket hat pattern here! No, this pattern has amazing options you have got to see! For the boys this Surf's Up board shorts pattern by Peekaboo Patterns is just right for the pool or beach. 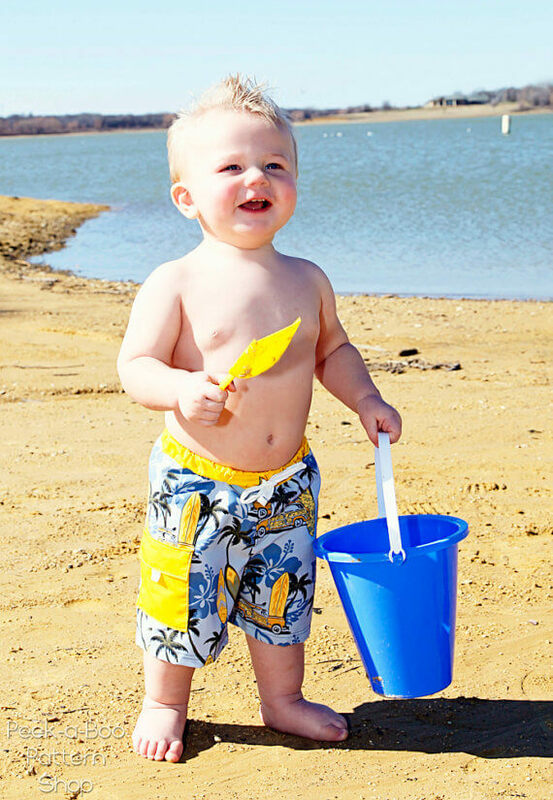 Sew these swim shorts for boys 3 months up to size 12, they feature side pockets with flap closure, faux fly, optional lining, pieced waistband, and an elastic waist with faux or functional drawstring for a perfect fit every time. And since it can be a daunting task to pick just the right material for making swimsuits, we also have some reliable online shops for you lined up. The following shops have known to provide high quality material for swimwear that lasts. 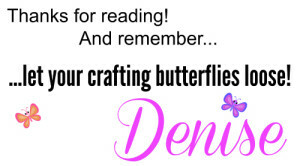 I hope you enjoyed the showcased patterns and will find THE perfect one for you to sew! 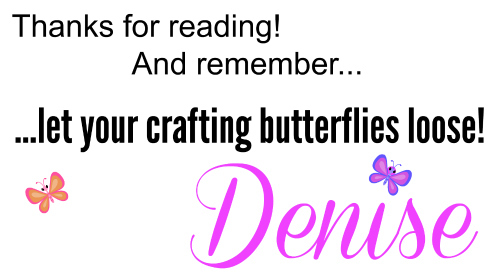 Would you like us to email you when we have a new post up? You can choose what interests you! Then hop on the list by entering your email below! We promise, we only send you 1-2 emails per week! Thanks for including my backpack!! Great list, I pinned it!